Online courses are a great option for those looking to take part in training without being present in a traditional learning environment. One of the major benefits of enrolling in online courses is that it provides an opportunity for the individual to complete their studies on their own time. Online courses allow individuals to develop their skills in a convenient and flexible way. Often available from anywhere and at any time, online courses allow professionals to set their own study pace, schedules and choose a place of study that is most beneficial, whether it be at home or in the office. Some online courses take the form of e-learning and could require only interactions with the course management system. In other words, there is little to no interaction with other students, tutors or subject matter experts and where you are guided through the curriculum exclusively by the software. Other online courses could involve a blend of numerous methods of online interactions such as e-learning with access to online lectures, study groups, tutors, subject matter experts as well as occasional online meetings, etc. This form of training could include extensive use of technology and could employ chat discussions, shared whiteboards, screen annotations, and so forth. The traditional form of online courses involves corresponding with the institute that is providing the course. A participant would be sent text books or other printed material and then would follow the curriculum in their own time. They would be expected to hand in assignments and other tasks on due dates to ensure they have applied themselves in the course. The most obvious advantage of enrolling in online courses is the convenience. Delegates will be able to study at intervals befitting their lifestyles due to the flexible scheduling structure of the course. Professionals will not be forced to sacrifice their responsibilities while enriching their education. Unlike in a classroom environment, anyone choosing online courses as a source for their professional development will be able to dine and learn in tandem, saving time and creating a more informal experience. Professional development by online courses gives delegates access to a greater variety of experts in their field as the method of communication in this form of education is far broader. Online courses also alleviate many of the pressures associated with traditional learning such as timekeeping, commuting and social grievances. Online courses are often cheaper because of the lower overheads associated with it. Costs that are not applicable to online courses are related to printed material, classroom facilities, lecturers, catering, accommodation and travel. The nature of e-learning enables it to be used multiple times after being developed and it usually requires very little overhead to manage learners. Online courses are an ideal way of reaching learners across borders. This exposes the training provider to a much broader market and learners in remote areas can benefit from obtaining skills and qualifications without needing to relocate. Online courses are available in business studies, finance, computing, leadership and in a wide range of subjects. Students have the ability to find the perfect online courses that suit their exact needs. Thousands of online courses are available ranging from beginner to advanced training levels, all designed to enhance the professional development of every delegate. The cost of each course varies based on its content, duration and the qualification that is offered upon graduation. 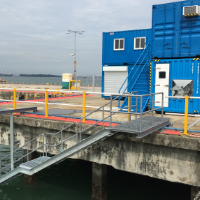 Some of these courses are aimed at complete novices and only include the most basic introductory modules, while others will be far more advanced and will be specifically aimed at the individual with experience in the industry..
Read more about the relocation of the Diver Training Centre and the KBA Training course schedule for 2017, beginning right away in January! 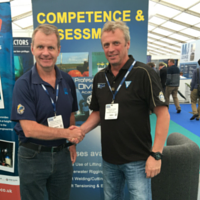 Reputable training providers KBA Training Centre Pte Ltd (KBAT) and the Professional Diving Academy (PDA), Dunoon, Scotland have signed a MOU to train commercial divers in Singapore to the UK HSE offshore diving standard. 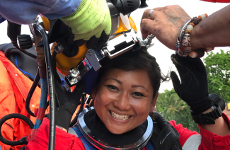 Commercial diving has always been predominantly a male-dominated industry, due to the nature of the working environment which can be harsh and both physically and mentally demanding. However, we are seeing a twist in this sixth run of the KBAT Commercial Diver training course that has come to an end as of late May 2017. 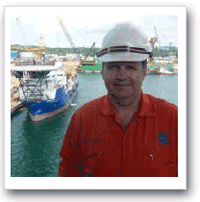 Want to know what it's really like to work in a dangerous, high pressure environment?